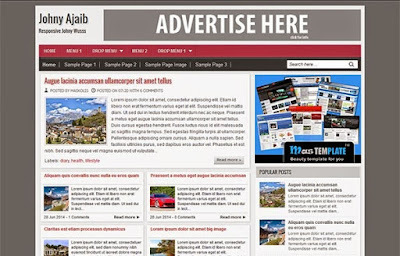 TemplateHack.com - Download Johny Ajaib premium blogger template. Hai huys, we meet again. Im so glad to share one of the best blogger com templates made from Indonesia, Johny Ajaib. Johny Ajaib is customizable blogger theme with 3 column design. This is simple blogger template with black and grey color, one right sidebar, three column footer, two readmore methods with table of content. This template also ready for SEO and increase your blog visitor by H1 and H2 tag. This template is clean and you can use this template for your personal blog.